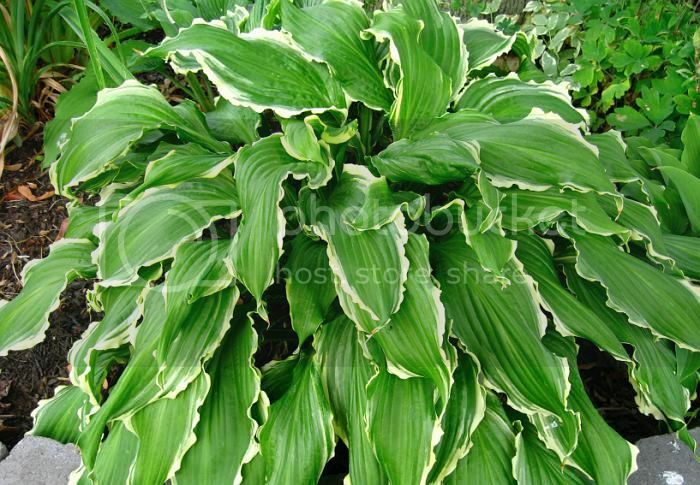 I promised I would still present you with at least one hosta this week. Today's hosta has great twisting leaves. 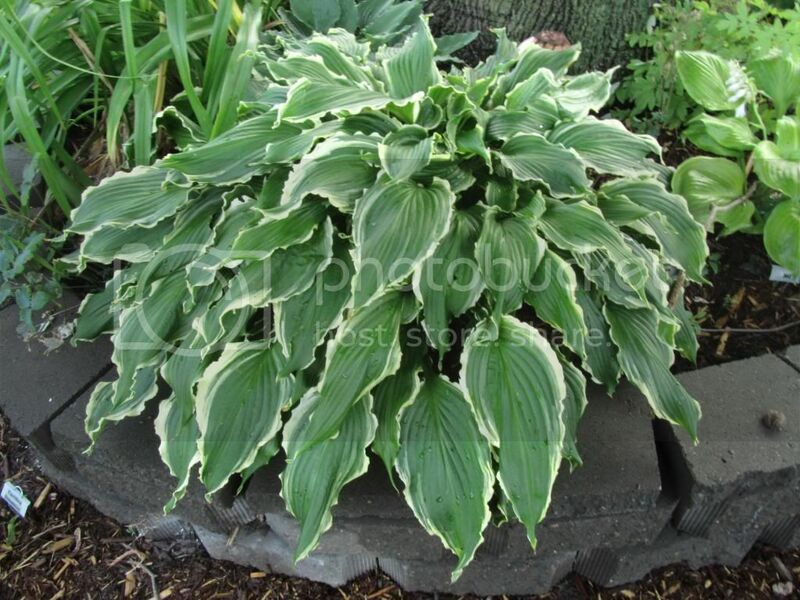 Hosta 'Ginsu Knife' has a mounding habit with twisting leaves of green with white borders. Some say it has fragrant flowers, but for some reason the flowers on mine seem to have no smell to them whatsoever. I thought that mine was not showing off it's true beauty being planted in the ground. It just seemed to lay on top of itself too much. So this past summer I decided to find a container to plant it in. I wanted something so that the leaves could cascade over the sides. In fall I move the container to the north side of my house where it will receive the least amount on sun. I then lay the container on it's side and face the opening towards my house, so that the least amount of moisture can get into the container. This helps protect it from the freezing and thawing that often happens over a Midwest winter. Then in spring I move the container back out into the sun and enjoy it all summer long.